Bull by Mike Barlett is Arbery Productions' entry in the 2019 Edinburgh District Scottish Community Drama Association One-Act Festival. Arbery Productions is pleased to announce the venues for the two plays it is bringing to the Edinburgh Fringe in 2018. Martin Foreman's adaptation of Ben Jonson's comedy Volpone, with leading roles Mosca and Corbaccia now women, comes to Paradise in Augustine's The Sanctuary (venue 152) on George IV Bridge. 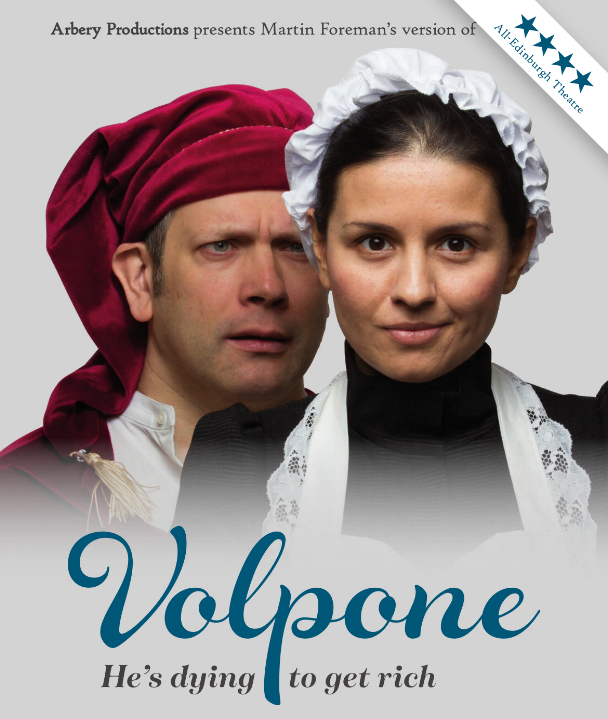 This full-length revival of the four-star production in 2017, featuring Alastair Lawless as Volpone and Vanashree Thapliyal as Mosca, will run in an early evening slot throughout the Fringe. 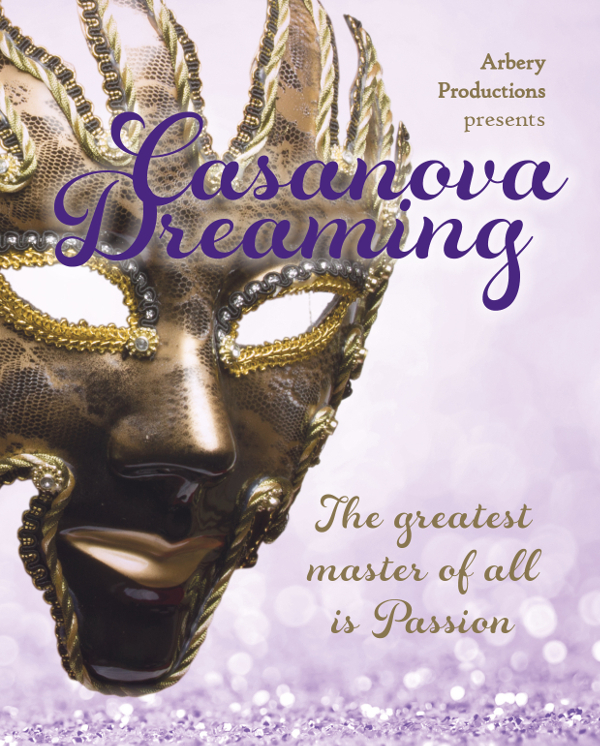 Meanwhile, Martin's new one-act drama, Casanova Dreaming, where the young libertine glimpses his future life, will have a three week run in the early afternoon in theSpace Niddry Street (venue 9). This is the same venue where Arbery last appeared at the Fringe, with a highly successful revival of J B Priestley's The Rose and Crown, and it continues a tradition of working with theSpace that started in 2014. The next task for Arbery's four-person team in the coming months is to assemble a talented cast and crew. For more information contact Martin Foreman: 0798 965 5482. For media info for previous productions, click here.